Are you ready to make new tango friends? Then make time to attend the mixers on Thursday and Friday! You’ll join a Mardi Gras krewe and receive a dance card when you enter the ballroom. 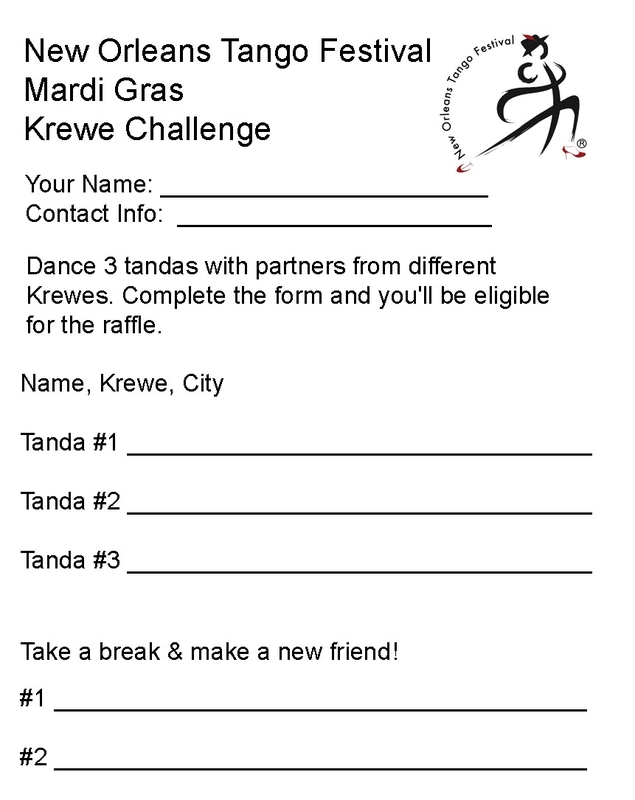 Find a new dance partner from a different krewe during the cortinas. The mixers allow time for relaxation and chatting with someone new. Your completed dance card is your entry into a raffle for a gift certificate for a bottle of wine from the bar during the evening milongas and other prizes.